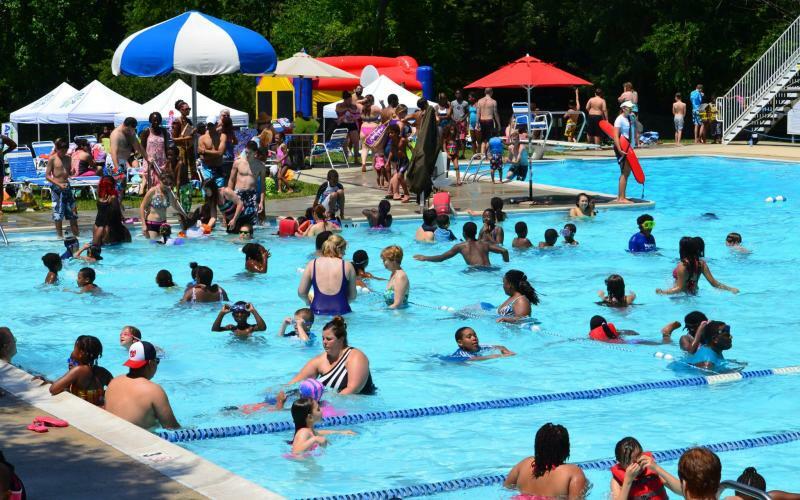 Where to have aquatic fun in Howard County! There&apos;s nothing like being in the water. From swimming to being on a boat, or even lounging on the shoreline, water is relaxing, serene, and a perfect way to spend the day. We have a number of lakes and pools all across HoCo, perfect for any size group or activity! Perfect for a leisurely boat ride, fishing, or just hanging out with some friends by the water, our lakes are the perfect place to spend a summer afternoon. Patapsco Valley State Park runs along 32 miles of the Patapsco River. This is one of the most popular spots in Maryland to visit, as you can canoe and fish. Centennial Lake is a 54-acre man-made lake Stocked by the State Department of Fisheries, cast for bass, trout, sunfish and tiger muskies. You can also try your luck with our other stocked lakes as well: Lake Elkhorn, Lake Kittamaqundi, and Wilde Lake. Triadelphia Reservoir is another fishing hot spot, as well as a drinking water source! Need to dive into some fun? The pool is the best place for a casual swim, play date, or if you&apos;re trying to get a workout in.The Columbia Swim Center is home to SplashDown, one of the most popular indoor pools in Howard County. With two twisting and winding slides (and no inner tube required!) it&apos;s no wonder this is a destination for kids and adults alike. The Columbia Association offers a number of indoor and outdoor pools, where you can learn to swim, take an aquatics class, or just relax by the pool. For the adults looking for some relaxation, Haven on the Lake offers aquatics classes, or you can relax in the warm water pool, take a dip in their hot tub, try out their cold plunge, or take a break in their tropical rain shower! No matter what your aquatic needs are, we have you covered out here in Howard County!